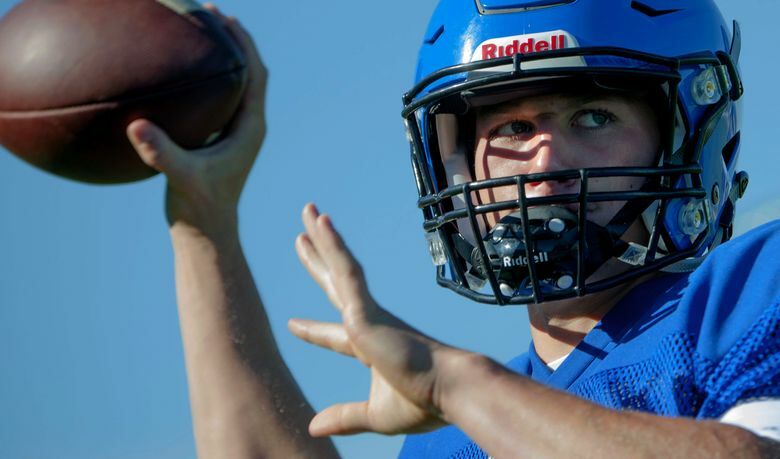 UW signs 10 recruits on offense, including quarterbacks Jacob Sirmon and Colson Yankoff. The Washington Huskies on Wednesday signed one of the highest-ranked classes in program history, with 18 recruits signing National Letters of Intent. 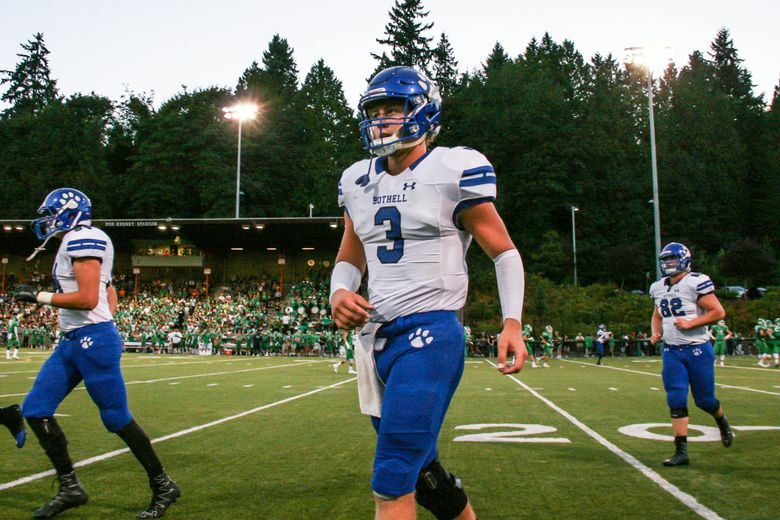 Bio: Completed 132-of-227 passes for 2,061 yards, 18 touchdowns and five interceptions as a senior … also scored four rushing TDs and handled some of the punting duties in 2017 … named offensive MVP of the 4A KingCo Conference, as well as first-team All-KingCo quarterback as a senior … led Bothell to an 8-3 record and the first round of the state 4A playoffs as a senior … invited to play in the Under Armour All-American game following his senior year … 167-for-290 for 2,498 yards and 18 touchdowns, with only two interceptions, as a junior in 2016, when the Cougars went 9-3 and made it to the quarterfinals of the 4A state playoffs … made the Seattle Times all-area team … father, David Sirmon, played football (and won a national championship) at Montana and is a professor in the UW’s Foster School of Business … ranked the No. 30 overall prospect, the No. 2 pro-style QB in the country and No. 1 recruit in the state by ESPN … listed by 247sports.com as the No. 5 pro-style QB and No. 165 overall prospect in the country. Bio: Named the 5A Inland Empire Offensive Most Valuable Player as a senior … passed for 6,411 yards and 55 touchdowns while rushing for 2,121 and 43 scores during his high school career … as a senior, helped the Vikings to a 9-3 overall record and advanced to the 5A state championship game … completed 222 out of 325 passes for 2,396 yards and 21 touchdowns, while rushing for 1,027 yards and 12 TDs on just 109 carries … invited to play in the U.S. Army All-American Bowl following senior season … named Gatorade state player of the year, 5A Idaho state player of the year (Idaho Stateman newspaper) and 5A Inland Empire Offensive MVP as a junior in 2016 … listed as the No. 92 overall prospect and No. 7 pro-style quarterback in the nation by ESPN … the country’s No. 8 dual-threat QB prospect and No. 157 overall recruit, according to rivals.com … 247sports.com’s No. 4 dual-threat QB and No. 75 overall recruit … father, Trevor Yankoff, played quarterback at Brown and mother, Tracie, ran track at Biola University (California). 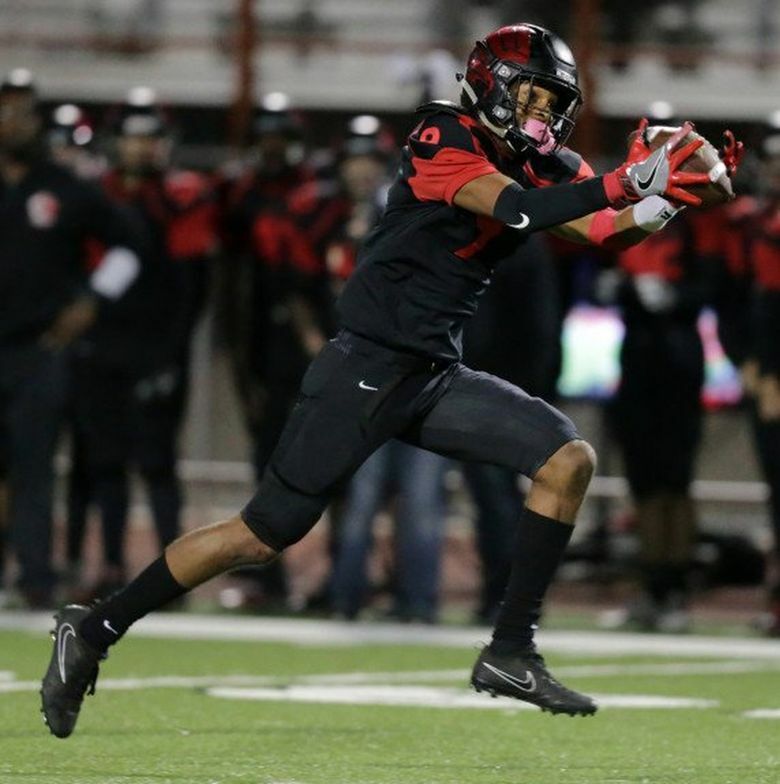 Richard Newton, 6-1, 183, Palmdale HS, Lancaster, Calif.
Bio: Averaged 8.0 yards per carry in six games, gaining 248 yards on 31 attempts as a senior … rushed for 1,050 yards and 17 touchdowns as a junior with a single-game high of 294 and five touchdowns in a win over Quartz Hill … … rated the No. 28 running back in the nation by rivals.com. 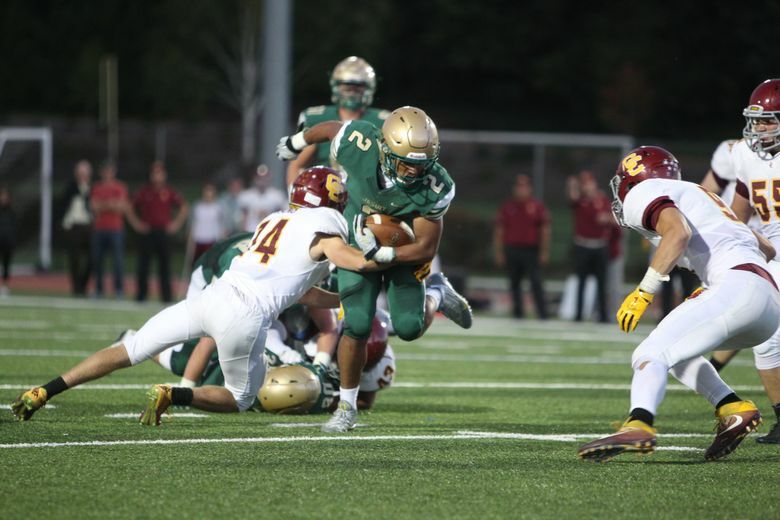 Bio: 2017 Oregon Gatorade Player of the Year after rushing for 2,316 all-purpose yards, over 1,700 yards rushing and 35 total touchdowns … invited to play in the 2018 U.S. Army All-American Bowl … led Jesuit (10-2) to the Oregon 6A quarterfinals, … earned 6A first-team all-state at running back as a junior in 2016, when he rushed for 1,800 yards and 34 touchdowns in just seven games (due to injury) … made All-Metro League at slot receiver as a sophomore in 2015 … ranked the No. 143 overall prospect and No. 4 all-purpose back in the country by 247sports.com … brother, Keanon, was a standout wide receiver for Oregon. 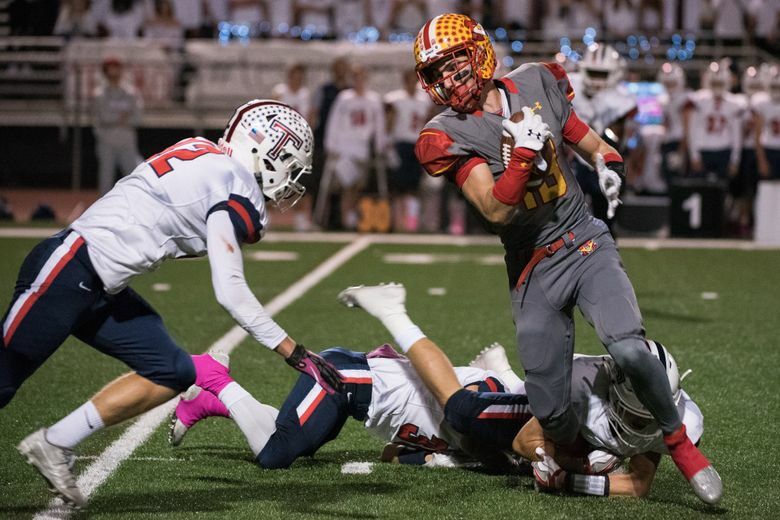 Austin Osborne, 6-2, 188, Mission Viejo HS, Rancho Santa Margarita, Calif.
Marquis Spiker, 6-3, 180, Murrieta Valley HS, Wildomar, Calif.
Bio: In three-year career, caught 244 passes for 4,661 yards and 72 touchdowns … broke the California state record for career receiving TDs (it was 65, held by Earvin Johnson of L.A. Cathedral High since 2000) … named Southwestern League Player of the Year as a senior in 2017 … as a senior, caught 83 passes for 1,490 yards and 27 touchdowns … also totaled 36 tackles and three interceptions … in a playoff game vs. Santa Margarita, caught 13 passes for 298 yards and four TDs while also notching 18 tackles and an interception … ranked the No. 125 overall prospect and No. 14 wide receiver in the nation by ESPN … listed as the No. 5 wide receiver in the nation and No. 29 overall recruit in the country by rivals.com. Bio: Helped Gonzaga Prep to a 9-3 record and the quarterfinals of the Washington 4A state championships … amassed 928 yards, five touchdowns on 79 rushes and grabbed seven receptions for 164 yards and two touchdowns through the first 11 games of the season … first-team All-Greater Spokane League receiver and Tacoma News Tribune first-team all-state selection … as a junior, named the all-purpose MVP of the 4A Greater Spokane League. Bio: Named the 2A South Puget Sound League Mountain Most Valuable Player as a senior in 2017 … Tacoma News-Tribune All-Area selection as a junior and senior … as a senior, led the Trojans to a 9-2 overall record and the first round of the state 2A playoffs … as a junior in 2016, led Fife to a 7-3 record and a state playoff berth … named the 2A SPSL Mountain Division defensive lineman of the year and also first-team All-SPSL Mountain on the offensive line in 2016 … played on the varsity as a sophomore, when the team went 7-3 … ranked the No. 58 tackle prospect in the nation by ESPN … born in Samoa and spent much of his childhood living in Australia, where he was a three-time Australian Golden Gloves heavyweight champion boxer … his high school’s senior class president. Bio: Helped Second Baptist to a 7-4 record and the TAPPS Division II state quarterfinals … named the Touchdown Club of Houston’s private schools lineman of the year in 2017 … ranked the nation’s No. 24 guard by ESPN … ranked by 247sports.com as the No. 27 offensive guard prospect in the nation … rivals.com’s No. 60 offensive guard recruit in the country. Matteo Mele, 6-5, 277, Salpointe Catholic, Tucson, Ariz.
— Compiled from UW reports/gohuskies.com. Watch UW coach Chris Petersen’s early signing period press conference.